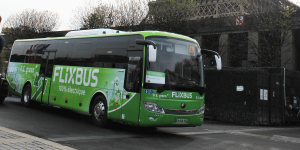 Munich-based bus operator Flixbus has entered the electric age in France yesterday, as it launched two electric buses that will go the long distance. The coach service runs between Paris and the city of Amiens and electrive.com was live at the launch event in Paris, just at the foot of the Eiffel Tower. 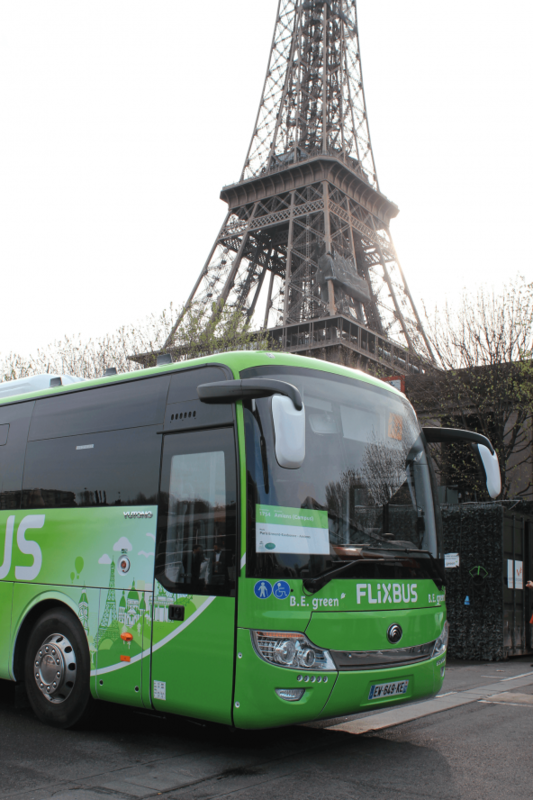 The electrification of a complete route in long distance travel is a first to date and Flixbus used the opportunity to introduce their electric coach in a picturesque setting: directly at the bank of the river Seine, at the foot of the Eiffel Tower. While Flixbus hauls from Germany, the bus model that will run in France, is an adapted model from Chinese manufacturer Yutong. The ICe 12 is 12 meters long, has a top speed of 100 kph and space for 49 travellers. 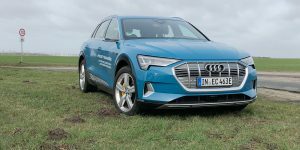 Ten lithium-ion battery packs made in China with a total capacity of around 250 kWh should provide a range of around 200 kilometres. Two of these electric coaches will now tackle the approximately 150-kilometer route between Paris and the city of Amiens further to the north on a daily basis. On weekends and holidays there will be two connections per day even. The ticket costs seven euros – the same as before with conventional buses. Recharging will happen at each destination and Flixbus calculates three to four hours. In Amiens, the charging infrastructure had to be installed, and while the electric buses arrive in Paris at the La Defense station, they load at another depot. It is owned by B.E. Green, a subsidiary of the French bus company Dominique. In fact, B.E. 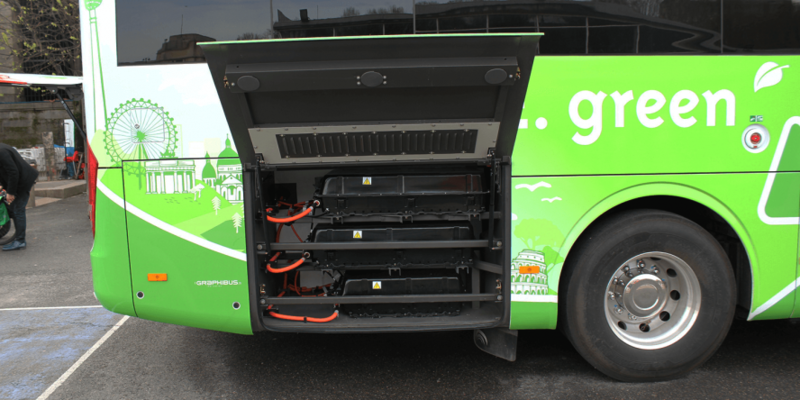 Green has played a large part in making this project possible when it bought the electric coaches for 400,000 euros each and the company also provide the drivers. 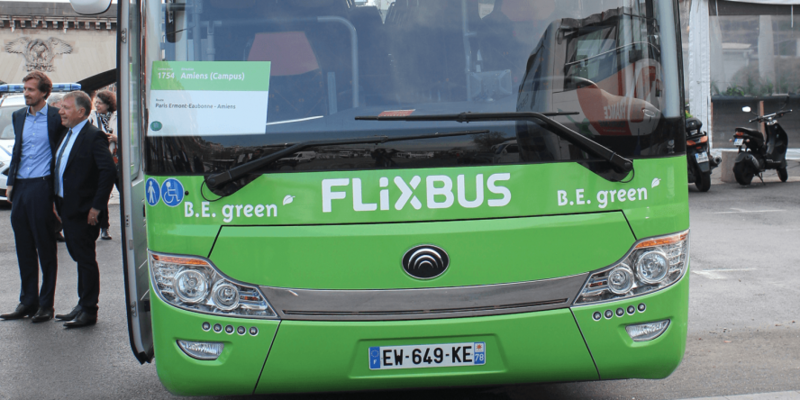 Flixbus in turn will integrate the new route into its network. Such outsourcing of the actual operation of the coaches has proven a successful business model for the startup and helped them grow from a three-men operation into one of Europe’s largest bus companies for inter city travel. Flixbus had to make a few compromises when opting for the Yutong ICe 12. Unlike their other buses, there is no toilet on board and the seats are not green as usual. 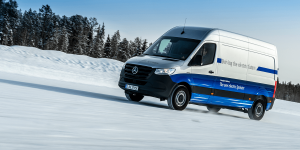 During the maiden voyage over the cobblestones on the banks of the Seine it became clear, what really makes the difference compared to the diesel fleet of the long-distance bus giant: the silence. Mingling with the invited guest is Stefan Tontsch, who is the Flixbus director of operations. He is eagerly watching the inauguration, but something similar is in preparation for Germany. 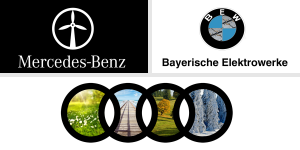 “The electric bus test route in Germany runs between Frankfurt and Mannheim,” confirms Tontsch an earlier rumour. 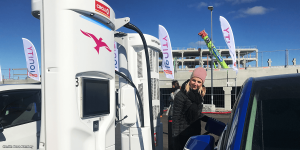 Unlike in France however, the installation of charging stations at both terminals involves a bit more work, especially with regard to permits. “Basically, approval procedures in Germany are more extensive, which is why testing in Germany starts later than in France,” says Tontsch. Flixbus is now aiming to launch the second route “in summer”. 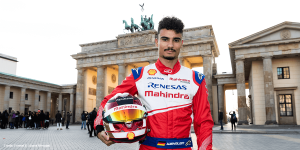 On the 110-kilometer route between Frankfurt and Mannheim, which will have several stops, they will deploy the BYD model C9. The 12-meter-long vehicle can accommodate up to 40 passengers and reach a maximum speed of 90 kmp h. Again, it got a range of about 200 kilometres and charging time will amount to three to four hours. 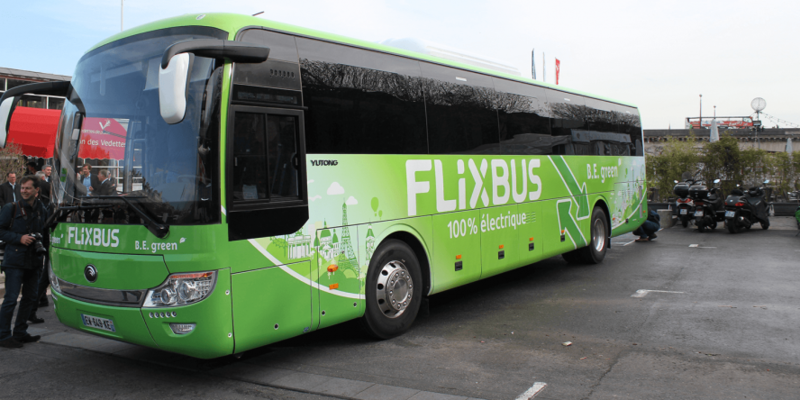 Flixbus intentionally opted for models from two different manufacturers as they are testing how electric coaches perform on the long-distance in real life. Says Tontsch: “We would like to test more electric coaches but Yutong and BYD are the only ones at the moment having a suitable offer.” Flixbus hopes however, that their initiative will be perceived as an incentive for more manufacturers to position their new technologies.